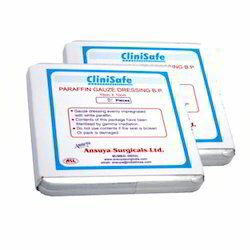 We offer Sterile Clinisafe Paraffin Gauze Dressing B.P. which is impregnated with yellow soft paraffin. It is used for primary wound treatment for burns, skin grafts, ulcers & other injuries.